For the modern business, staying online and connected is essential and a call, email or text can determine the outcome of a deal, or a customer review. Smartphones are the best way to stay connected, and have quickly become a key feature of the modern business. 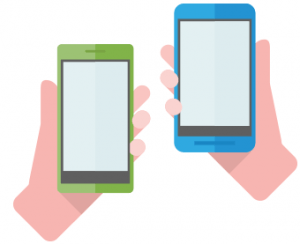 With a plethora of mobile phones for business on the market, deciding which device is best suited to your business needs can be a time consuming and complicated process. A few key things to consider when choosing from a range of mobiles for business are processing power, storage, battery life, functionality and design. Midshire have a deal that is great for your business. We’ve also got a range of business mobile bolt-ons which are designed to further support your business when you need that little bit more from your business mobile plan. We’ve designed these bolt-ons with businesses in mind, enabling you to take calls when you’re travelling, connect to multiple networks, and have full IP telephony functionality when you’re out of the office. Midshire have over 15 years of experience in the business mobile communications industry and have made key partnerships with leading mobile network providers, meaning that we can offer a fantastic range of mobiles for business. We are also Samsung award-winning mobile providers, meaning that we are recognised for our skill and expertise within the business mobile industry. We understand that your mobile devices are a key element of your business’ full functionality, and as such should something go wrong our support team are on hand to get you back on your feet as quickly as possible.